Wikipedia states that "benchmarking is the process of comparing one's business processes and performance metrics to industry bests and best practices from other companies. Dimensions typically measured are quality, time and cost. In the process of best practice benchmarking, management identifies the best firms in their industry, or in another industry where similar processes exist, and compares the results and processes of those studied (the "targets") to one's own results and processes. In this way, they learn how well the targets perform and, more importantly, the business processes that explain why these firms are successful." When it comes to the healthcare practice, the payer and the healthcare provider can have different end-goals and purposes when it comes to benchmarking. All businesses seek to maximize profitability and this includes payers. Payers have been facing problems with fraud and abuse within the healthcare payment system and so they must protect their assets while maintaining high quality care for their beneficiaries. Benchmarking is one way to accomplish these goals. One method payers use to identify fraudulent practices is computerized auditing systems. These analyze submitted claims data among all specialties and all types of services from ALL claims submitted to the payer. This data includes information on patient status, diagnosis and procedure codes, as well as specialty, which is then aggregated and analyzed to find providers who are falling outside statistical norms. Providers falling outside the statistical norms are referred to as "outliers." As an example, Medicare reported data analysis of the chiropractic specialty from 2012 demonstrated a distribution of Chiropractic Manipulation Therapy (CMT) codes as follows: 98940-32%, 98941-61%, and 98942- 7%. These percentages identify the "norm" for these services. Providers who perform these services at a significantly higher or lower percentage rate than the "norm" would be considered "outliers" and flagged for a potential audit. Keep in mind that there are reasons why a payer could have different benchmark results than the provider. For example, providers may be focusing on a highly specialized population, or the provider may be billing inaccurately, causing a skewed "norm" result. Some providers purposely downcode services in an attempt to avoid being seen as an outlier to avoid audits and allegations of fraud, which can then result in an inaccurate norm. Regardless of the reasons for differences, it is prudent for all healthcare providers and managers to review any available payer benchmark information and then perform their own data analysis. If their percentages are far different than what the payer is reporting, then they should analyze (self-audit) their documentation and coding practices to ensure full compliance. If they find that their documentation correctly supports the services they are reporting, the discrepancy doesn't matter because an audit initiated by the payer will reveal the appropriateness of their billings. TIP: See Chapter 3 -- Compliance in the DeskBook for information on performing self-audits. 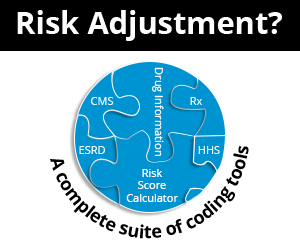 Caution: Never change your billing by either downcoding or upcoding to try and match payer benchmarks - that is fraud. Services rendered and billed should ALWAYS be based on clinical need (medical necessity) and be fully supported by appropriate documentation. Providers should approach benchmarking from both operational (profitability) and quality standpoints. A recent article in Medical Economics pointed out that providers need to address quality measures before they are affected by payment processes. How many patients are seen per day/month? Is your practice performing more/fewer procedures this month/year? Are you paying out too much in overtime? Which advertising methods demonstrate the best return on investment? What are your patient retention rates? Are your payer contracts and reimbursement rates creating a financial strain? Have your claims rejection or denial rates changed? Are your collection rates appropriate or are they causing problems? Compare this month to last month, and this time of the year to last year at the same time. Analyze input and output. Knowledge is power. Benchmarking helps you set goals and optimize performance to keep your practice healthy all year. Caution: Do not set benchmarks that could be considered inappropriate or even fraudulent. For example, it would be appropriate to set a goal of increasing new patients by 10%. However, to set a benchmark for increasing certain types of services when there is no clinical necessity indicated is inappropriate. For example, to set a benchmark of a 20% increase in lab testing could set your practice up for a potential auditing problem. TIP: Many practice management companies offer courses and further information to help providers appropriately benchmark their practice. Take advantage of these opportunities to help grow your practice. The bottom line is that as payment systems move to embrace quality measures, benchmarking will continue to play an important role when it comes to reimbursement. Providers need to take advantage of available data to perform their own self-audits and benchmark analysis.